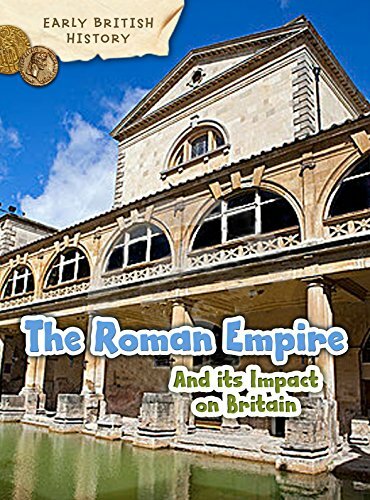 Synopsis: The Roman Empire and its Impact on Britain is a fascinating account of British history from a period that begins with the invasion of the Romans on Britain in 55BC to AD410, when they finally left. The book describes how Roman settlers have influenced everyday life, from their introduction of the hypocaust system for keeping houses and baths warm through to their building of roads. It also features important figures in this period of history, including Boudicca - a key figure of rebellion from Roman rule., Find out more about her as well as Hadrian's Wall, the Vindolanda Tablets and how the Roman language has survive in the current English language in this amazing history of early British life. About the Author&colon; Claire Throp loves sea mammals and spent far too long looking at them while supposedly doing research for this book! She has written children's nonfiction on subjects ranging from countries to sports to. She lives just outside Oxford, England.